by the Buffalo Grove Patch. "2012 Business of the Year"
This neighborhood restaurant, bar and gathering place is extraordinary. Our casual dining room offers a variety of dishes from Baby back Ribs to burgers, wraps and salads. It’s a perfect place to enjoy family, friends and strangers alike. 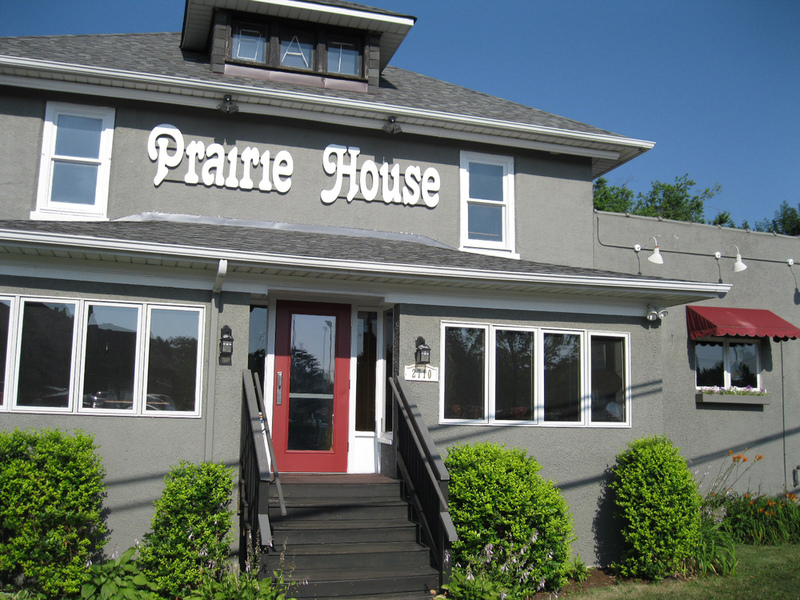 Prairie House Tavern is a local favorite family-owned eatery and bar. This "HOUSE" is rich in history ans was once known as Jerry's Supper Club and Jerry's Tap. Many of our patrons can reminisce about the old days and will continue to join us for a bite and a drink for many years into the future. We are conveniently located across from the Prairie View Metra Station, once located in Prairie View, but we now boast a Buffalo Grove address. Whether you experience Prairie House in our dining room, outdoor patio or from the comfort of your own home, the same rules apply.